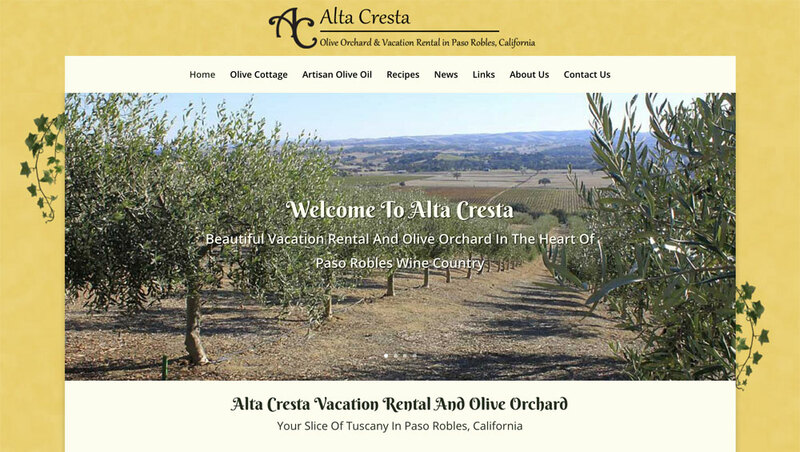 Alta Cresta is a little piece of Tuscany in Paso Robles, California. The property includes an olive orchard and vacation cottage rental. There were several goals for AltaCresta.com. The first was to highlight Alta Cresta’s award-winning olive oils. Second was to showcase their amazing cottage vacation rental. Third was to have the design inspired by traditional Tuscan elements.